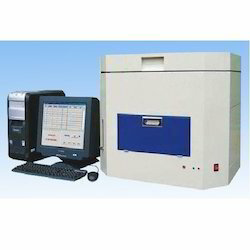 Thermogravimetric Analyzer ( Proximate Analyzer) from NAVAS for Multi-sample Analysis.Specially designed for Analysis of Moisture, Volatile Acids, Fixed Carbon in Iron ore, Coal, Coke, Bauxite, Minerals, Oil & Food. Compliance with ASTM methods. 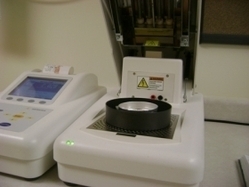 NETZSCH TGA instruments are equipped with digital balances and are vertically designed, featuring a top-loading sample arrangement and direct temperature measurement at the sample.